Why Use Printed Shade Cloth or Banner Mesh for Outdoor Advertising? 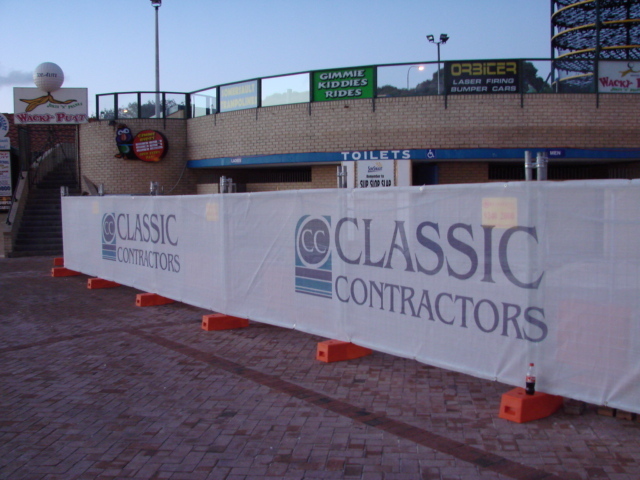 Printed Shade cloth and Banner Mesh are highly customisable and tailored to fit around the perimeter of your project. They can be printed with your company logo, text, images or contact information; the possibilities are endless and the best part is that you can advertise your brand on the outdoor fence that is always visible, ensuring that it never misses catching the eye of any passerby. What began as a solution for keeping dust under control with moderate visibility, the printed shade cloth has become one of the most popular and accessible advertising tools on the market. Quickly and easily design or transfer your own logo onto a professional grade mesh banner to bring more buzz to your brand. Most printed shade cloth and banner mesh providers offer digital design services so you’ll see a preview before the product is made, giving you the power to pick and choose what you like. Savvy project managers are turning to printed banner mesh and shade cloth as a respectable outdoor advertising medium that keeps costs low. Other advertising methods require thousands of copies to be made and distributed. With a high quality print, you know exactly where your money is going. What’s special about printed Banner Mesh is that each banner is made for a specific project. It’s available in various colours, heights, and widths to maximise the space. The cloth is made to fit your particular space requirements, and saves you wasting time searching for signs, simple banners or stencils that match the area’s dimensions.